Oftentimes you will hear about virtual reality and augmented reality in the same sentence, as though they are the same technologies. There are some important differences between the two, though. Augmented reality is a more integrative technology, in which the world becomes your screen and things like haptic feedback and binaural audio make the transition seamless. Virtual reality is more like your own little slice of a different world, as your screen replaces the sensory input around you with a virtual world. Tech companies are pouring resources into both technologies, and together they are projected to become a $108 billion market by the year 2021. It’s worth noting here that developers are pouring a significantly greater percentage of their resources on the development of augmented reality technology than that of virtual reality. There are several reasons for this. Applications for augmented reality are numerous and include practical everyday uses like real-time directions, face-to-face communication between coworkers who work in different locations, and step-by-step how-to instructions, all of which can be hands-free. Augmented reality is projected to take the lion’s share of that $108 billion market over the next four years, clocking in at an estimated $83 billion. In 2016 alone a whopping $2.3 billion was invested in augmented reality startups! 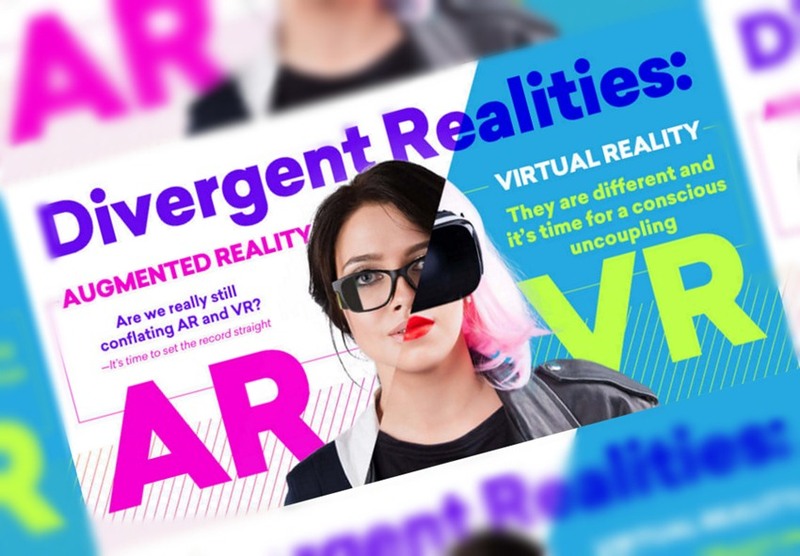 Learn more about the important differences between augmented reality and virtual reality from this infographic from Lumus. Already just about every smartphone you can buy today enables you to participate in the virtual reality world with a relatively inexpensive headset, but what’s next?